Longtime former Metro Police Sergeant Pat Postiglione used his photographic memory to solve murders. He's now using those powers of recall in a television series to make sure lesser known victims won't be forgotten. 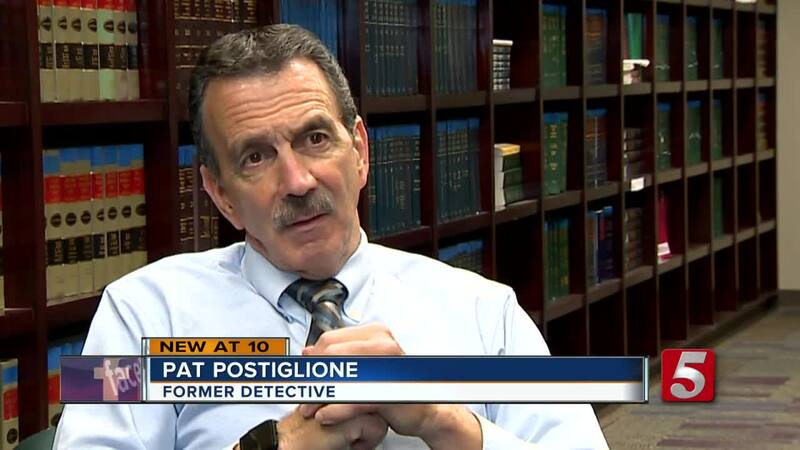 NASHVILLE, Tenn. (WTVF) — Longtime former Metro Police Sergeant Pat Postiglione used his photographic memory to solve murders. He's now using those powers of recall in a television series to make sure lesser known victims won't be forgotten. Postiglione arrested some of Nashville's most notorious murderers including Tennessee's first serial killer Paul Reid, truck stop killer Bruce Mendenhall, and Perry March, the attorney convicted of killing his wife. But murders that received much less publicity are the subject of a new television series, Deadly Recall, airing on Investigation Discovery. "They were selected because a lot of the cases over the years didn't receive the high profile nature of some of the other cases," Postiglione said. "Every crime scene is like a puzzle and when I see them I never forget them"
Postiglione guides viewers through reconstructed crime scenes, evidence and interrogations, taking advantage of his amazing memory. The detective agreed to do the television series on one condition. "My big thing was include the families, include the loved ones of the victims, that was my sticking point," he explained. In a city on the rise like Nashville, many of the crime scenes look considerably different - something that's not lost on a man blessed with the gift of recall. "When I first went to homicide in 1987, most of the homicides I was tasked to investigate were in East Nashville...The change has been so dramatic from just a few years from a high crime area into a sought after area," Postiglione said. Today he continues his work at the Nashville District Attorney's Office still searching for justice for victims. "Any detectives that come along with questions, I can help them," he said. Each episode of Deadly Recall is available at no cost on Investigation Discovery's "IDGo" app or "IDGo online" if you have an active cable subscription. It is also available to purchase and stream on Amazon Prime Video.